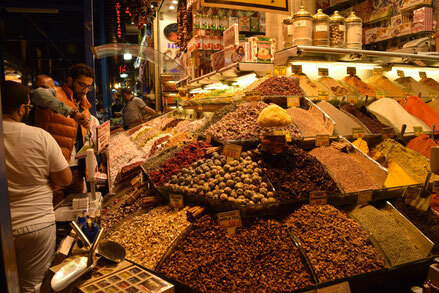 In Istanbul, I liked to see the market. It was rough and untidy but also tidy,beautiful and colorful. Many various things are jumbled up. What an interest place! Oh, and so.. I was surprised that when I arrived in Turkey, I heard an announcement of pray. Everybody hear it everyday, everywhere. THIS IS THE TURKEY! !